Because the exterior doors are the first thing seen by visitors when they enter your home, they set the tone of your home. The various exterior doors Edmonton add significantly to your home’s curb appeal in different ways. Having adequate functioning exterior doors are recommended because they are frequently used. There are three categories from which you can choose your preferred exterior doors in Edmonton. Whether it is storm door, patio door or entry door, you will always get your best choice. Edmonton homeowners rarely desire these exterior doors Edmonton. They are solid and therefore guarantee you security. However, the limitation is they come with very exorbitant prices, and you need to ensure regular maintenance to keep them looking smart. Failure to sustained maintenance, they are vulnerable to rotting, warping and expansions as a result of weather extremities in Edmonton. We strongly advise our customers against installing these entry doors. These doors are durable and energy efficient. They don’t rot, expand nor warp, unlike wood entry doors. Also, they are fitted with foam core insulation that prevents heat from escaping from your home and are also scratch resistant that may result from weather vagaries or even misuse. They are quite ideal for Edmonton homes. If your exterior doors Edmonton replacement project needs enhanced energy efficiency and security, go for steel doors. They include all advantages of steel doors, but they perform an exceptional job. Another exterior door that offer unparalleled access to your deck with great view. Most Edmonton homeowners install this type of door. Its operation is the same as those of sliding windows and offers ventilation for your Edmonton home. You can get them in any material such as vinyl, wood or aluminum.Its operation is simple as the tracks just roll on the rollers when you are closing or opening the door. Since they are just made of glass, you can put security bars at the bottom or just reinforce the glass. Sliding patio doors will keep your home fresh regardless of the season. Regarding elegancy enhancement of your home, these exterior entry doors will guarantee you that. You can choose how to have them open either inwards or outwards, from the right or left. They are available in the same materials sliding patio doors are available in. When it comes to making choices on exterior doors Edmonton, people often overlook these doors on the belief that they are clumsy. However, storm doors can add to your home, especially for Edmonton homeowners. With improved technology, the matter has been thickened to make it not easy to open hence they can add more protection layers to your original exterior door. Found in the coastal home, they are best for energy efficiency. Though expensive, they are resistant to warp crack and rot. 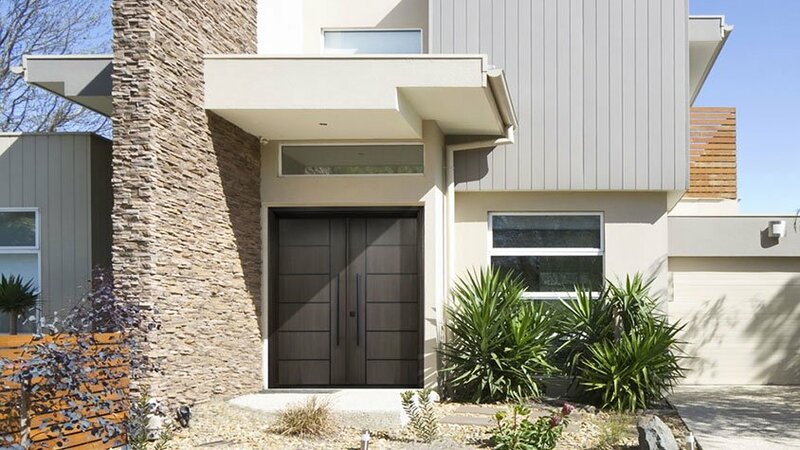 You can replace your steel doors with these light and durable doors. Able to regulate acute heat and cold. Being aware of the best exterior of your home is our joy. Whatever exterior door you need, you can count on Window Mart.